Small - $80.99 Only 1 left! Medium - $80.99 X-Large - $80.99 Only 1 left! Well, it’s that time again. Mistletoe, Yuletide carols and fruitcake that’s too weird to live and too rare to die. You’ve dreaded it for a while now. Sure, the presents are great and the family dinner is second to none, but there’s just one thing that you can’t seem to escape. 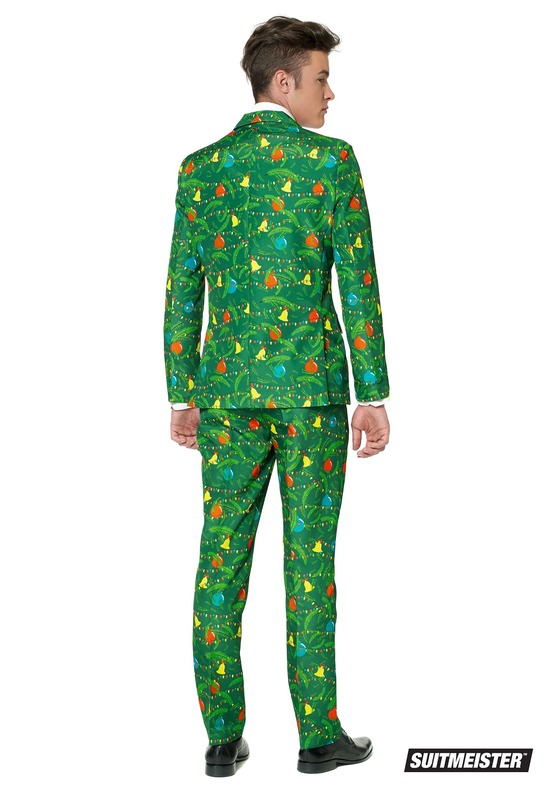 You will inevitably be dragged to some kind of ugly Christmas sweater contest, where they’ll try to force you to give up your suit. 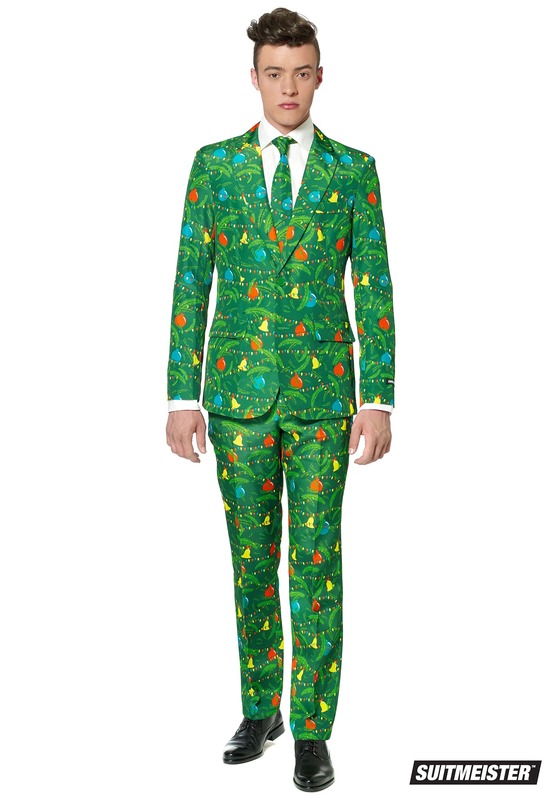 Those uncouth savages will try to feed you eggnog and cookies as some sort of consolation for forcing you to hang up your suit for the evening. They might even tell you that it’s okay to not wear a suit sometimes. Madness. You know that suits are life. We know that suits are life. Only the unworthy truly think that wearing anything other than a suit is acceptable. Suitmeister understands. They’ve created a suit that will help you fill those suit-less fools with so much holiday cheer, they might just explode!